“The Battleship Island” is a war flick which deals with the turbulent history of Koreans forced into slave labor by the Japanese on Hashima Island, the site of Japan’s first major undersea coal exploitation. It is also a film that is at the center of a heated public debate. Some claim it depicts Korean characters as overly villainous in comparison to the Japanese corporate executives who held them captive. 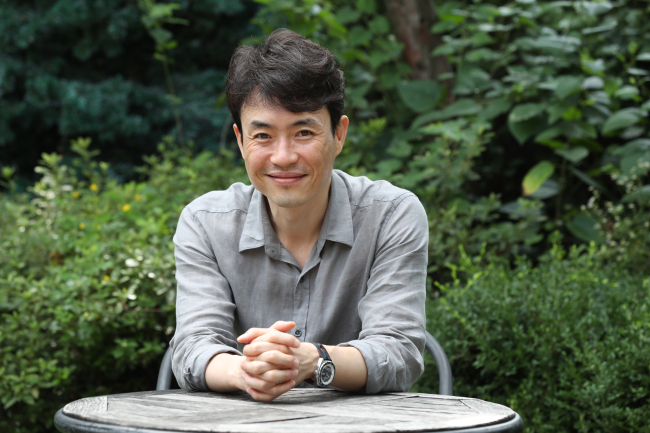 But the film’s director Ryoo Seung-wan is confident that he and his crew have given their all to the blockbuster, in both the scope of the cinematography and the depiction of accurate facts. 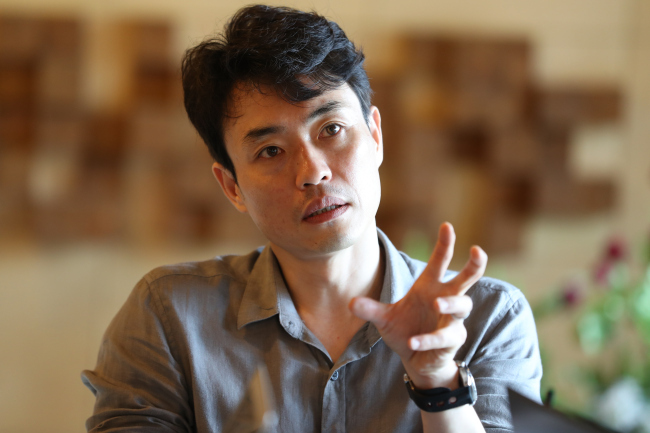 “It took a total of four years to complete the research and shooting,” Ryoo told The Korea Herald at an interview in Seoul’s Samcheong-dong last Thursday. Several of his films have starred his brother, actor Ryoo Seung-beom. Director Ryoo’s 2015 action-ridden satire of Korea’s affluent chaebol culture “Veteran” sold over 13 million tickets and became the third best-selling movie of all time in Korea. But Ryoo says he feels little pressure to live up to his past films, both in terms of social message and tickets sold. “The Battleship Island,” starring A-listers Hwang Jung-min, So Ji-sub and Song Joong-ki and a massive set recreating Hashima Island’s coal mines, is Ryoo’s priciest undertaking yet, with a budget of 22 billion won ($ 19.5 million). But Ryoo says that any set, whether large- or small-budget, always runs short on funds. The astronomical amount, on the other hand, simplified the filmmaking process, allowing him to focus entirely on what he wanted to achieve artistically. Ryoo said he had been driven by a sense of duty to raise awareness of a deeply atrocious, but less publicized, historical subject. The controversy over the film’s historical stance baffles him all the more because he had meant to tread carefully around sensitive historical subjects. Much attention was paid to the detail of the workers slaving away 1,000 meters underground in the coal mines, Ryoo said. The colonizers’ tyranny is expressed in a more subtle way, Ryoo remarks. “The Battleship Island” opened in local theaters on July 26. It was released in the US and Canada on Aug. 4.